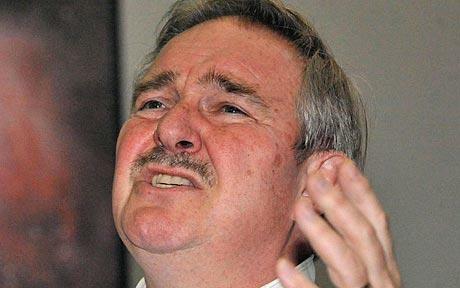 The ex UK chief drugs adviser, Prof. David Nutt, published a study which reveals that alcohol is more harmful than other dangerous drugs such as crack or heroin. This study was based on a top 20 drugs ranked on 16 measures of harms to users and society. According to it, cigarettes and cocaine are placed on an equal level and surprisingly, LSD and ecstasy are at the bottom of this top, as considered less damaging. The « harm scale » was creating taking in consideration each possible harm these drugs might come with, from mental damage to crime, addiction and even costs for the country’s economy and communities implications, to sum it up, 16 criteria were involved. The working group consisted of Prof. Nutt, Dr. Les King and two other drugs experts. There were two « harming ranks », one for individuals and the second one to society. Unexpected, the study revealed that although heroin, crack and crystal meth are the most damaging for each individual using its, when it comes to society it seems that alcohol makes its room near heroin and crack ; more than that, when the scores were added together the results were shocking – when it comes to society, alcohol is the most harmful drug. Today’s drug classification system seems to be in contrary with this study however the authors say the present classification should be changed according to the harm each drug brings with. This is not the first time when Prof Nutt argues with the recent classification system while he had an attempt of doing this in 2007 as well, however failling in doing it. Prof Nutt brought as argument the fact that alcohol is more widely used therefore millions and millions of people can reach it, become addicted to it and then become a menace to society. On the other hand, even if cocaine is way more addictive it is not so widely used thus putting it on a lower level when it comes to the harm that using it brings to society. A spokesman for the Wine and Spirit Trade Association argue with this study’s results while it is natural that alcohol is widely spread as it is used even as a part of social interactions ; he agreed though that alcohol misuse is a major problem most countries are facing but it isn’t the major issue people have to face with.